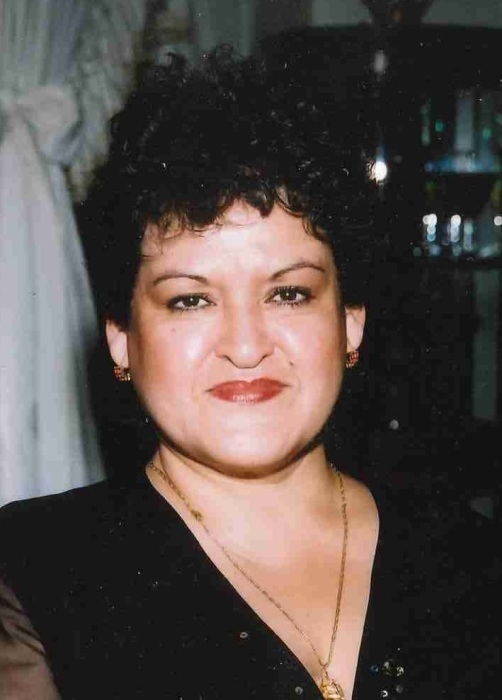 Carmen L. Salgado, age 62, born in Lima, Peru and resident of Albuquerque, passed away Monday, October 29, 2018. Ms. Salgado is survived by her parents, Nilo Salgado-Terry and Maria Luisa Salgado; siblings, Nilo Salgado-Fernandez, Liliana Salgado, Marco Salgado and C. Antonio Salgado and wife, Annette; aunt, Dina Dorregaray; nephews, Eliot, Antonio and Patrick Salgado; nieces, Gabby Copeland and Miranda Salgado; grand-nieces, Andolina Salgado and Marianela Salgado. A visitation will be held Saturday, November 3, 2018 from 9:00 a.m. until 9:30 a.m. at Gabaldon Mortuary, 1000 Old Coors Dr. SW with a Rosary to be recited at 09:300 a.m. with a funeral service at 10:00 a.m. Interment will follow services at Fairview Cemetery. Pallbearers will be Nilo Salgado, Marco Salgado, C. Antonio Salgado, Eliot Salgado, Antonio Salgado and Matthew Wallace.